The Federal Motor Carrier Safety Administration (FMCSA) defines following too closely as a situation where one vehicle is following another in such proximity that if the first vehicle were to brake suddenly, the second driver could not avoid a collision even when being attentive to the vehicle ahead. This driving behavior, also known as tailgating, is the leading cause of rear-end accidents. In fact, in an FMCSA study published in 2007, inadequate following distance was attributed as the cause in 5% of large truck crashes in the U.S. If you have been injured in a car accident contact the skilled personal injury attorneys in Phoenix today for a free legal consultation. Tailgating limits a driver's reaction time and the ability to maneuver when the vehicle in front brakes or comes to a sudden stop. Rear end accidents are the most common type of collision here in Arizona, accounting for over 45% in 2011, according to the Arizona Department of Transportation. These accidents caused nearly 12,000 injuries and 65 fatalities. 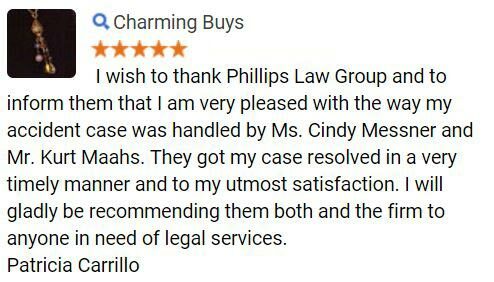 If you have been injured or lost a loved one in a motor vehicle collision due to the negligent behavior of another motorist, the attorneys at Phillips Law Group are here to help you. You deserve to know your legal rights. 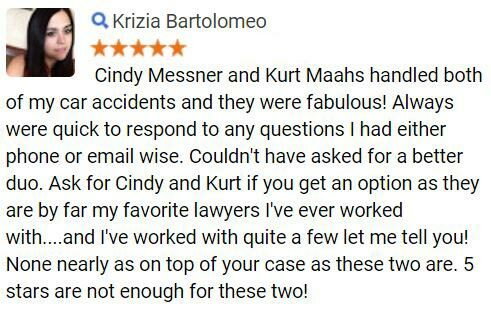 Contact us today by filling out the Free Case Review form to your right. It's 100% confidential and always free. Tailgating is a serious contributor to auto accidents and is one of the marked signs of aggressive driving. In some instances, sheer ignorance on the part of the driver can be the cause for tailgating, but some form of aggressive driving is usually the culprit. In order to avoid an accident and keep from following too closely, it is important for a motorist to be mindful of surrounding vehicles and to stay alert. While it is common for drivers education classes to teach the guidelines of proper following distance, this is one of the facts that can later evade the driver's mindset and allow for reckless behavior such as tailgating. In most cases, a driver who is tailgating is concerned with arriving at a destination on time. It is not wise to retaliate with verbal measures, by slowing down or making other passive-aggressive maneuvers; this only contributes to the danger in such a situation. If you are being followed by an aggressive driver, you are advised to move out of the driver's way, either by changing lanes or pulling over. Other injuries are also possible, as is permanent damage such as paralysis or even wrongful death. If you have been involved in a rear-end accident caused by an aggressive driver who was following too closely, it is important to seek medical attention as soon as possible. Only a healthcare professional can diagnose any injuries, whether symptoms are present or not. Today's crowded highways and byways may be a nuisance when behind the wheel, but there is simply no excuse for ignoring safety. Unfortunately, many drivers choose to forego safe driving habits in favor of speed. If such negligence has led to trauma for you or a loved one, you may be eligible to seek compensation for the damages you have sustained. 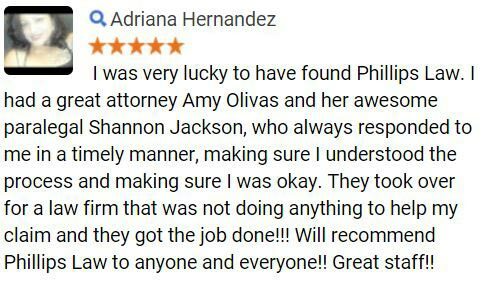 The auto accident lawyers at Phillips Law Group have experience with cases involving aggressive drivers who follow too closely. We fight to pursue justice on behalf of victims like you. Find out how we may be able to defend your rights and pursue compensation for your hardships. Call us today at 1-800-706-3000 in Arizona to discuss your legal options. 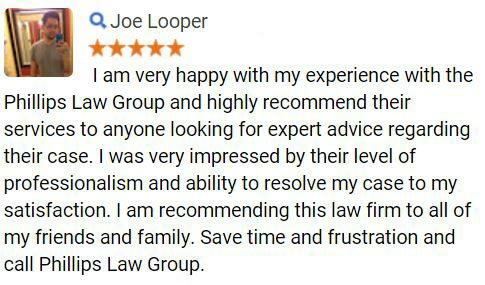 Submit our Free Case Review form at the top of this page to expedite your evaluation its 100% free and completely confidential. You will be contacted by a member of our staff.